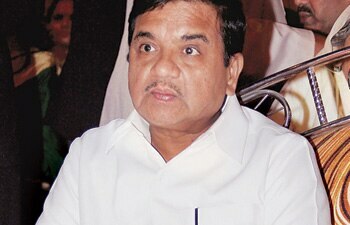 Maharashtra Home Minister RR Patil. Faced with the growing menace of riots following derogatory remarks made against well-known people on social networking sites, the Maharashtra police would now be booking even those who endorse the contents by clicking on ‘like’ button and forward the objectionable content to others. Speaking to reporters on Monday, Maharashtra Home Minister RR Patil said those endorsing the objectionable content would be booked as a co-accused along with those who have authored it under the provisions of the cyber laws. Also, those forwarding the objectionable content to others, irrespective of the fact that they have endorsed the view or not, would also be booked as co-accused. Under Section 66 (A) of the IT Act and Section 153 (A) of the IPC, such persons can be booked and, if convicted, they can be sent to three years in prison. The Maharashtra police hopes such an announcement would deter the miscreants who indulge in such acts. Incidentally, the police are investigating two such instances of objectionable content on social networking sites. In the first instance, Chhatrapati Shivaji and late Shiv Sena patriarch Bal Thackeray were targets of derogatory remarks, while it was Dr B. A. Ambedkar in the second instance. Both the instance resulted in violent protests across the state. As a reaction to the derogatory remarks against Shivaji and Thackeray, Hindu Rashtra Sena (HRS) activists had allegedly lynched Mohsin Sadiq Shaikh, 24, at Pune on June 1 when he was on his way to offer prayers at a mosque. The mob went on to attack shops and establishments in the locality. The police have arrested 17 people including HRS chief Dhananjay Desai. “Mohsin was innocent and he lost his life for not fault of his,” Patil said. In the second instance, Dalits rioted in several places in the state after objectionable content were made against their icon Ambedkar on the social networking sites. “There is already a provision in law to book those persons who forward the objectionable content that causes enmity between two communities. However, it was never done as hundreds could be arrested for the same. However, since the Home Minister is of the view then the police would certainly comply,” a senior police officer in the Mumbai cyber crime department said. In November 2012, a 19-year-old youth from Palghar was handed over to the police by MNS activists who were offended by his adverse remarks against Raj Thackeray, on his Facebook account. However, it later turned out that the Facebook account had been hacked. The culprits, who had allegedly bludgeoned 24-year-old Mohsin Shaikh, an employee of an IT firm, to death in Pune on June 1, boasted about their achievement through SMS. The mob of over 20 persons belonging to Hindu Rashtra Sena were apparently furious over some objectionable posts on social networking sites. Meanwhile, a CCTV grab (left) has surfaced that shows one Amin Sheikh being chased by miscreants on 8-10 motorcycles in Pune. He said he was chased by some youngsters, but escaped unhurt. May 23, 2014: A shipbuilding professional from Mumbai was arrested for anti-Narendra Modi remarks that he posted on Facebook. May 14 : Uttar Pradesh police arrested author Amaresh Mishra for his objectionable posts on Twitter and Facebook against BJP’s PM nominee Narendra Modi and the RSS. NOVEMBER 18, 2012: Two girls from Palghar, Maharashtra, arrested for making Facebook comments in protest of the bandh called in the wake of Bal Thackeray’s death. September: Cartoonist Aseem Trivedi charged under the sedition law for sending offensive messages under the Information Technology Act and under the law for Prevention of Insults to National Honour. He drew a cartoon showing the national emblem with three wolves instead of lions. “Section 66 A of Information Technology (IT) Act provides unrestricted handle to curb online free speech and goes beyond the boundary established by the Constitution. A PIL is pending before the Supreme Court, which is yet to decide on the constitutional validity of Section 66 A. Guidelines of the government for permission of pre-arrest on Section 66A has not deterred frequent invoking of this provision to target legitimate free speech as permitted under Article 19 (1) of the Constitution,” says Pavan Duggal, SC lawyer and cyber law expert. “Diverse society will fail” –Robert Putnam. In 2nd Round Table Conference in 1932 British regime recommended separate states for BC/SC/ST/FC/Muslim/Sikh/Christian/Parsi/Jain Communities. Only Muslims got their share of land in Pakistan.